This article reviews the habitual physical activity of children and adolescents from member countries of the European Union in relation to methods of assessing and interpreting physical activity. Data are available from all European Union countries except Luxembourg and the trends are very similar. European boys of all ages participate in more physical activity than European girls and the gender difference is more marked when vigorous activity is considered. The physical activity levels of both genders are higher during childhood and decline as young people move through their teen years. Physical activity patterns are sporadic and sustained periods of moderate or vigorous physical activity are seldom achieved by many European children and adolescents. 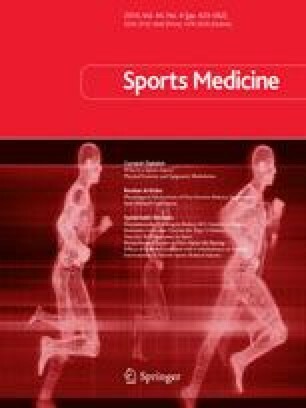 Expert committees have produced guidelines for health-related physical activity for youth but they are evidence-informed rather than evidence-based and where there is evidence of a relationship between physical activity during youth and health status there is little evidence of a particular shape of that relationship. The number of children who experience physical activity of the duration, frequency and intensity recommended by expert committees decreases with age but accurate estimates of how many girls and boys are inactive are clouded by methodological problems. If additional insights into the promotion of health through habitual physical activity during youth are to be made, methods of assessment need to be further refined and recommended guidelines re-visited in relation to the existing evidence base. This review was supported by a grant from the European Union. The authors have no conflicts of interest that are directly relevant to the content of this review.